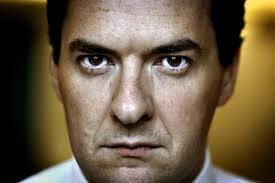 Sunderland Property Blog: Another 'Flipping' George Osborne Blow For Sunderland Investors? Another 'Flipping' George Osborne Blow For Sunderland Investors? There's still a degree of vagueness about the details of the announcement but it would appear that 'Professional Landlords', which seems to be those with over 15 properties, would not have this Stamp Duty applied! It will be interesting to see if there is a stampede for investors looking to buy before this is applied in April 2016...which could make an interesting start to the year! There's a question over how this would be policed and it may be that they will require mortgage lenders or solicitors to share information on BTL mortgages taken out so it may be that this additional Stamp Duty could be avoided if the property was purchased in cash or using Joint Venture finance avoiding the need for a BTL mortgage? There's also the consideration that using Bridging Finance may avoid this but the cost is usually higher - given the announcement was only made yesterday these are very much 'off the top of my head' thoughts! As it stands selling costs (including Stamp Duty) can be offset against Capital Gains Tax when a property is sold so whilst the Stamp Duty will need to be paid out in the first instance it can be claimed back...but I'm not particularly hopeful that given the way things are heading this loophole won't eventually be closed off!